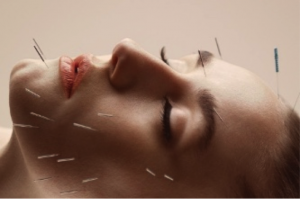 I am a practitioner of Chinese Medicine, Acupuncture, Herbalism, Nutrition and Tuina, and I am also a specialist in Face Reading, Facial Diagnosis and Rejuvenation. For the past 27 years I have been teaching the skills of Chinese Medicine at Graduate and Post-graduate level both in Ireland and internationally. One of my big passions is the art of Yang-Sheng or “Nurturing Life”, based on the ancient philosophy of living in harmony with the world. Food and lifestyle being the focus. This is linked to the areas of rejuvenation which is another passion of mine. through tried-and-tested methods used by Chinese healers for thousands of years. For thousands of years Chinese Medicine have known that beauty comes from within. Many of the meridians begin, or terminate on the face, and some have internal pathway to the face via the subsidiary meridians. By generating and increasing the circulation of Qi and Blood to the face via these pathways, we can increase cologen production and help the skin look and feel younger. These are principles to help nourish and nurture life, protecting health and wellbeing by nurturing the body, mind and spirit in harmony with the natural rhythms of nature as well as our own nature. We do this by staying healthy through balanceing our diet, lifestyle and emotions. Shen Module Master Face Reading Program in Bath UK. October 2018.